I have tried to show that the question whether a martial arts organization succeeds—fulfils its aims—is very difficult to answer. For example, in one sense the Aikikai is a very successful martial arts organization, for both inside and outside Japan the art, as inherited by Doshu and developed and interpreted by him, is growing. On the other hand, the disciples of the founder went off to create their own dojos and these also developed into fully-fledged organizations. I have tried to show that the question whether a martial arts organization succeeds—fulfils its aims—is very difficult to answer. For example, in one sense the Aikikai is a very successful martial arts organization, for both inside and outside Japan the art, as inherited by Doshu and developed and interpreted by him, is growing. On the other hand, the disciples of the founder went off to create their own dojos and these also developed into fully-fledged organizations. Thus the aikido world split into competing groups even during the founder’s lifetime, the fragmentation of aikido happened in Japan, the “mother” country, and not only abroad. So, in another sense the Aikikai has not been successful in its aim of maintaining unity in aikido and the question whether such unity is possible is a valid question which needs to be asked. Furthermore, as I have suggested above, the success of an organization which emphasizes an unbroken vertical line between the founder and the current head of the dojo or organization depends on the constant supply of able people who are willing to sacrifice themselves for a particular vision. I believe that it is extremely unlikely that the Aikikai Hombu will be able to rely on a steady stream of young shihans willing and able to reside overseas and teach aikido. Thus, when the present generation of overseas Japanese shihans passes away, their replacements will have to come from within the countries where they have been teaching (At this point it will also become clear to what extent these Japanese shihans have been successful in building a suitable organizational structure, which will ensure the development of aikido in their adopted countries.) In the next fifty years, the Japanese aikido shihan residing overseas will become an increasingly rare figure and aikido will be in the hands of non-Japanese shihans, aided by occasional visits—at summer schools and international congresses—from the shihans sent by the Aikikai Hombu in Japan. This, however, assumes that the Aikikai Hombu and other dojos in Japan will be successful in attracting a constant supply of able recruits. If the martial arts clubs in Japanese universities are any indication, this cannot be taken for granted. I think it would be difficult to apply the “democratic-autocratic” distinction to many aikido organizations outside Japan. Other factors are also relevant. I have lived in Japan for nearly twenty years now and I do not believe that Japan is a truly democratic society. By this I mean a society in which the members conceive of themselves as individuals with certain responsibilities and rights, who are able to choose representatives by vote and also to have a direct influence on the policy made by these representatives. Of course, this is democracy in a Western sense, but I do not believe that there is any other sense of the word. I do not intend any disrespect to Japanese by the above observation and I consider that the comment about martial arts organizations, “In a martial arts context, the Japanese naturally set up an autocratic structure controlled by a small inner group that supports a central figure,” is completely true. However, without some qualifications it might be misunderstood by many non-Japanese. A democratic organization of the Western sort rests on a set of unstated abstract principles about the individual. The Japanese do not operate on such principles. Nevertheless, a non-democratic society such as Japan’s rests on a general principle of harmony and even in such a supposedly autocratic structure, if it really follows the Japanese pattern, those who have the power have an obligation to take account of the feelings, if not the articulated views, of those who do not. This relationship between the sempai (senior) and kohai (junior) is firmly embedded in the cultural fabric of Japan. It is taught to all Japanese from around junior high school age onwards (the age of 12), but there are no formal rules stating what these mutual obligations consist of. Of course, it is true that “those who do not conform either leave or are ostracized from the group,” but the point is that these persons never constitute a majority of the group, for the power holders will always make sure that the general principle of harmony will prevail and will try to evolve a consensus which takes account of as many views as possible. If the minority ever became a majority, the organization would either cease to function or undergo radical change. It is true that the I.A.F. was created in response to an initiative from Europe. Before the I.A.F. there was an organization in Europe called the A.C.E.A. (the European Cultural Aikido Association), which later became the E.A.F. (European Aikido Federation). Many of the members of this European Federation were aikido sections of judo organizations, wherein most of the power was firmly in the hands of the judoists. I do not think that the decision to put aikido under the protection of judo was free of controversy in the Aikikai, but I certainly do think there is something to be said for it. Mr. Nobuyoshi Tamura, who was the first Japanese representative of the Aikikai to reside in Europe, probably felt that judo groups could provide good organizational support for what was a new and unknown martial art. However, it is a curious fact that this example was not followed by any other Japanese Aikido Instructor who went to reside abroad and teach aikido. I want to stress that I am not saying that Tamura shihan was wrong to attach his aikido organizations to judo. It is well-known that Japanese judoka were instrumental in introducing aikido to Europeans and thus many European judoists also practiced aikido. It might have seemed the natural thing to do at the time. It was also a courageous decision, since, for the first time, Tamura Shihan tried to lake account of the cultural attitudes of the people he had been sent to teach. I was not present at the first I.A.F. Congress in 1976, but some very important issues arose at the third I.A.F. Congress, held in Paris in 1980, which I attended as a delegate for one of the I.A.F. member federations. 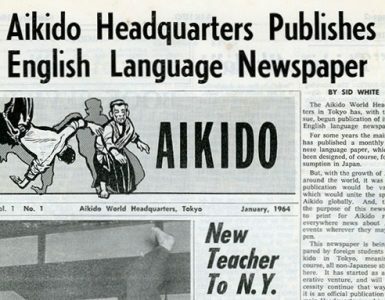 As I have suggested above, the spread of aikido abroad was culture-based and in many cases the Japanese shihan established an organization that was nationally based, with a name such as “The Aikikai of Great Britain.” The congress was the scene of a major conflict within European aikido over an apparently simple issue: what is a “national” aikido organization? The I.A.F. statutes unfortunately do not define this term, since they did not need to when the federation was founded. At that time, everything was in “harmony” and there was only one aikido organization in each country, namely, the one created by the Japanese instructor and recognized by the Aikikai. (The U.S.A., because of its size, did not have this system and the rather complex situation in Japan also escaped notice.) Alas, this problem of definition was related to another, more fundamental, problem concerning aikido’s independence from judo and this problem was one of the unforeseen consequences of the fact that Tamura Shihan’s aikido organizations were under judo control. 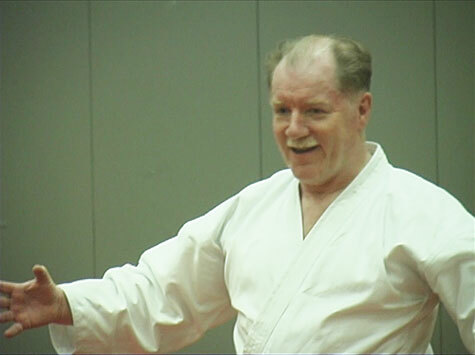 Independent aikido organizations in Holland and Spain wanted recognition from the Aikikai, and also membership in the I.A.F., in preference to the established aikido department of the national judo organization. The Paris Congress could not even start because there was no clear decision on who had the power to vote. Since the 1980 Congress the split in Holland between judo based and non-judo based aikido organizations spread to France and Mr. Tamura lost about half of his students. As I understand it, the Aikikai organizations in France are now Independent of judo, but the division into two large groups still remains. It is important to understand several points about the issues which arose at the abortive 3rd I.A.F. Congress. First, the issue which paralyzed the Congress was a European issue and one which had split the European Aikido Federation. 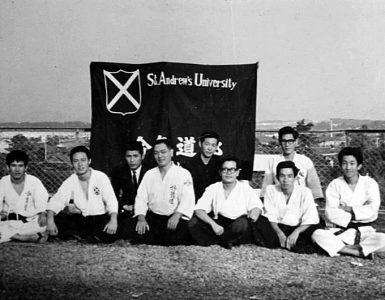 Between 1978 and 1980 there had been a grassroots revolt of Japanese instructors living in Europe exercising autocratic control over the federation. The Japanese instructors in Europe generally remained on the sidelines. However, the I.A.F. was in no position to deal with this crisis in one of its sub-federations. The founders had probably never imagined that such conflicts could occur in an aikido organization. After all. 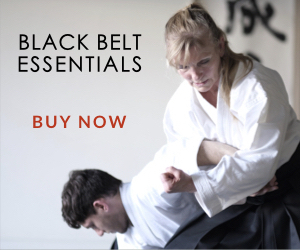 aikido is all about harmony, isn’t it? Certainly the Japanese were taken by surprise at the force of the dispute and had no idea what to do. One might argue that they should have known that this would happen because disputes in some form or other have existed ever since martial arts schools were created and the seeds for these disputes lie, as I suggested above in my earlier sketch, in the vertical organization of the martial arts, with its emphasis on the unbroken line between the founder and the current head of the dojo, rather than on a framework of rules or procedures. The second point to note is that, while the Japanese in Europe generally remained on the sidelines during the crisis within the European Aikido Federation, there was a parallel dispute within the Aikikai itself about the recognition of overseas aikido organizations with judo groups; should the Aikikai recognize a judo-affiliated group in a country, when there was also an independent group? Now it is commonly supposed that only non-Japanese, or only Europeans, have disputes about aikido and this might be something that Japanese teachers like to stress, for the picture of Japanese senseis squabbling over a Japanese martial art that is supposed to bring peace and harmony rings somewhat hollow. However, nothing could be further from the truth. The fact that Japanese instructors in Europe affiliated to the Aikikai revolted en masse against Mr. Tamura’s leadership also shook the Aikikai Hombu. The point I want to stress is that the problems which faced the I.A.F. in 1980 and after can be seen as a consequence of disputes within the Aikikai Hombu concerning the organization of aikido overseas. They were not created by the European alkldoists themselves. Finally, the dispute was not merely about something discussed at the supposedly ethereal heights of an International congress, but reached right down to the local dojo, for it concerned qualifications for dan grades and teaching diplomas There was a possibility that aikido instructors in some countries would also have to have grades in judo or karate. The U.S.A. (and also Japan) is very lucky in that few restrictions are placed on the martial arts by the national government. Anyone can open a dojo and issue his/her own dan grades (which might actually be worth no more than the paper they are written on). The situation is quite different in some European countries, with governments laying down precise regulations about examinations and dan grades. France has a system of national dan grades and no one may teach aikido in a municipally-owned dojo without a state diploma. Someone might receive a dan grade in France and later find that it is recognized only in that country. In the U.K. no one may teach in a municipally-owned dojo without a national coaching qualification. With the rise of the European Union (EU), such government interference is likely to increase, rather than decrease. Many aikidoists have the feeling that they can “just get on with practice” and that aikido “politics” (i.e., worrying about the organization of the dojo and its relation with outside bodies) is an undesirable and largely unnecessary business which can be left to those who are good at talking, or who like that sort of thing, the implication being that they are not really true aikidoists. I think this attitude is rather naive and in my own experience of aikido in three different countries, I have found that “political” issues are never far away from the tatami. Questions about the organization of one’s own dojo, or the affiliation of that dojo to a national or International federation, or the registration of one’s grade and its international standing, are often debated and not just outside Japan. It has been stated that the I.A.F. is still attempting to agree on a constitution. This is not really true, for the federation has had a constitution since It was created and this was approved by all the founder members in 1976. With a few minor alterations it is still in force. However, the problems which arose during the 1980 I.A.F. Congress showed that the I.A.F. Statutes are in need of overhaul. Work to revise the I.A.F. Statutes has been going on since about 1984. The process is taking time because congresses meet only once every four years and also because there is no consensus, either within the Aikikai or within the present I.A.F. membership, concerning crucial questions about the nature and roles of aikido organizations, especially overseas organizations. I doubt that these questions were ever seriously discussed when the federation was created and they were certainly not settled. Now they have arisen again and have to be settled in the best way possible. I hope that the eighth I.A.F. Congress, to be held in 2000, will be able to approve a new—and more flexible—constitution for the federation. I cannot comment on the proceedings of the first I.A.F. Congress in Tokyo, but I can state categorically that the picture presented is no longer true of I.A.F. congresses. Members are not obliged to put on a false show of “unanimity.” They are free to express their dissent on any question and usually do so, sometimes quite forcefully. Since 1984, I.A.F. congresses have always been presided over by the Chairman and decisions have been made by roll call, show of hands, or by ballot. In particular, I.A.F. officers are elected by secret ballot. People sometimes complain that people use the I.A.F. for their own purposes and that I.A.F. congresses tend to be occasions for people to dispute and reveal their thirst for power. Some have even questioned the need for the I.A.F., seen as a so-called “democratic” federation of aikido organizations—surely a contradiction in terms! Why not leave everything to the Hombu’s international department? I do not think matters are quite so simple. For one thing, very few of the member federations have actually brought disputes to a congress. The disputes that have been discussed involved problems of recognition by the Aikikai in one or two European countries. For another thing, I do not think that aikido is a kind of moral panacea for the world’s ills. I have always been taught that it offers a way to sometimes scorching self-honesty, but it is not an automatic path to sainthood, either in Japan or abroad. I think that there will always be people who practice the martial arts for the wrong reasons and the I.A.F. is certainly not in the business of checking the moral credentials of those who practice aikido. For another thing, the rapid expansion of aikido overseas is a fact, which carries with it certain consequences. One is that the organization no longer fits the traditional Japanese model, for the overseas organizations are also culture-based. 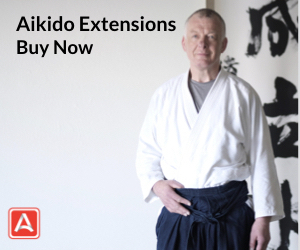 The resident Japanese shihans have had to adapt to the host culture and this is one of the reasons which led to the creation of a European aikido association. This is obvious as soon as one considers the question of recognition by a national or regional government. As I have stated above, the U.S.A. is very free, but certain other countries insist that martial arts organizations must have a democratic structure and must also belong to an international federation. To go back and place all international matters in the hands of the Hombu would not solve the problem, even if the Hombu had the human resources to look after all aspects of overseas aikido. The late Rinjiro Shirata Shihan once commented at an I.A.F. congress that whereas the Aikikai was a vertically-based organization, the I.A.F. was horizontally-based. He certainly never said that the two were in conflict. I would like to turn Shirata Sensei’s comment the other way round. I think the I.A.F. will always be a “horizontally-structured” organization, with all the members on an equal footing. However, the Aikikai is vertically-structured by its very nature as a Japanese martial arts school. The Hombu’s international department could never function as a horizontally-structured international federation. As I see it, one of the fundamental aims of the I.A.F. is to be a forum, where the representatives of aikido organizations can meet, as fellow aikidoists. and discuss matters of common interest, such discussion always punctuated by aikido training. I think that the seventh I.A.F. Congress, held in Katsuura, was a good example of discussion interspersed with practice. Another very important aim is to give the Aikikai Hombu some considered feedback. It is important to realize that the I.A.F. is not. and never has been, a part of the Aikikai Hombu. Thus complaints that the I.A.F. is separating itself from the Hombu are misconceived, for, despite its very close association with the Hombu, it always has been a separate organization. Nevertheless, the position of the Aikikai Hombu at the top of a pyramid structure makes it very difficult for it to hear the views of those at the bottom. As I have stated above, in Japanese society in general these views are considered, but the sempal-kohai system is not an essential part of aikido, certainly not overseas aikido. That there are such conflicts is undeniable. For example, I have been struck by the fact that very many disputes occur over dan grades. A common perception is the relative ease with which dan grades are obtainable in Japan. Sensei A, overseas, is known to be very severe, whereas Sensei B’s examinations, in Japan, seem much less difficult. This usually comes as a complete revelation to foreign visitors. Another revelation is the special treatment of Japanese university students. It is a common custom in Japan for students of university aikido clubs affiliated to the Aikikai to receive their 2nd dan by the time they graduate, that is, in their FOURTH year of aikido practice. At the very least one might wonder why this is so. My own students at Hiroshima University are astonished to be told that it takes their overseas contemporaries about ten years to obtain 2nd dan. Of course, I have heard all the arguments: that students practice hard everyday, that a grade is an expression of the so-called vertical relationship between the student and his teacher, etc. etc., but this is also the case in other countries, like France, for example. In France, a student’s grade might well be the expression of a vertical relationship with a certain teacher, but it is also the result of an examination that is of the same level of difficulty all over the country. A grade is an objective measure of one’s ability and this is why they are numbered from 1 upwards. Furthermore, many of the disputes which have arisen in aikido concerning grades resulting from one shihan going into another shihan’s “territory” without being asked and holding examinations there, or by a resident shihan having his allegedly “easy” grades recognized by the Aikikai. Now if the above questions are raised at a congress, as they might well be, anger is sometimes expressed in certain quarters that these are “internal” problems, which should not be discussed in a general forum. But this is to miss the point. Such problems exist and to dismiss them as “internal” is an evasion of responsibility. Of course, I am not saying that the I.A.F. should necessarily involve itself with grades, or become a kind of court, or that its main function should be to solve disputes. 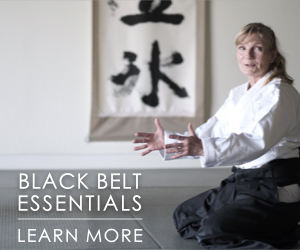 What I am saying is that aikido is a living, breathing art and that conflicts occur. This fact should be recognized. Conflicts cannot simply be pushed under the tatami in the hope that they will go away. Many disputes arise because of lack of communication and I have suggested that an autocratic structure which places great emphasis on the role of the individual shihan makes “bottom upwards” communication very difficult. By providing as one of its functions a general forum for communication among aikido organizations and between aikido organizations, aikido shihans, and the Aikikai Hombu, the I.A.F. can be a support for these organizations, for the shihans, and also for the Hombu. A vast reserve of trust and goodwill has been built up over the years from many thousands of aikidoists overseas and their teachers towards the Aikikai. This is something which needs to be protected and nurtured and the I.A.F. has an important role to play in this. Finally. I would like to return to the point made earlier in this essay and state it differently. At the present moment in the history of aikido. I do not think that it makes much sense to talk of the I.A.F. as an organization in some kind of opposition to the Aikikai Hombu, or to the Japanese. 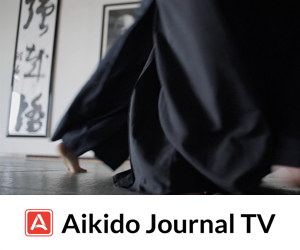 Aikido is still a relatively young martial art and it retains its Japanese cultural roots. Unlike judo and kendo, there has been no major power shift in aikido, and no reorientation of the art into the form of a western sport. Nearly all the high-ranking teachers are Japanese and there has been no division between Japanese and western aikido. I think that one of the most important future aims of the I.A.F. is to make sure that such a split does not happen.